It’s all fun and games, but when it comes to achieving top notch performances, competitions which hold all three pool disciplines in one day are not ideal. Because it is exhausting to give one’s all within just a few hours, 1-day pool compeitions should reward individual results per discipline and the overall winner. The Coupe des Dauphins is such a competition. 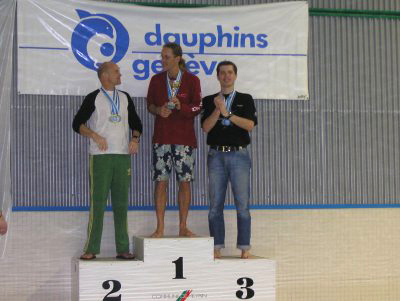 With static apnea in the morning, dynamic apnea in the early afternoon and dynamic apnea without fins later on, Winram took the Dauphins Cup by a storm with a distance of 135 meters in the last event, a mere 22-meter gap between him and the following freediver. To B. Or Not To B.